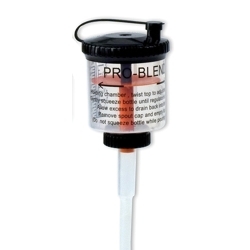 Gallon Pro-Blend Bottle Proportioner 38/400 Neck | U.S. Plastic Corp.
Just turn the top clockwise to raise or counter-clockwise to lower the regulator. Squeeze the bottle and excess liquid will flow back into the bottle. Open the safety cover and pour out the measured liquid. Eliminates the need for expensive proportioning systems. 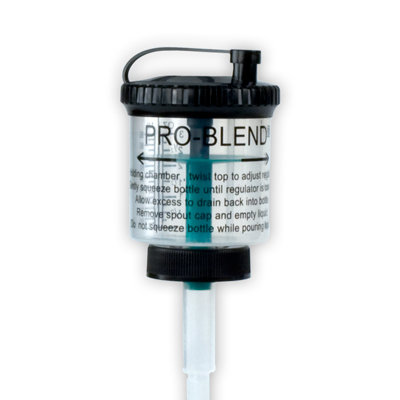 Reduces product waste and ensures fast easy measuring.